The Ethiopia water crisis is one of the most serious global issues of our time. There are nearly 61 million people living without access to clean water. This means that about 7.5% of the global water crisis is in Ethiopia alone. Plus, nearly 65 million people live without access to improved sanitation, and approximately 27 million people still practice open defecation. The vast majority of those affected live in rural, hard to reach places. Though daunting, the water crisis does not define Ethiopia. The country is ever growing and changing, and people are rising to the challenge of creating better, healthier lives for themselves, their families, and their neighbors. Ethiopia – a landlocked country located in the Horn of Africa, bordering Eritrea, Djibouti, Somalia, Kenya, South Sudan, and Sudan – is the second most populous country in Africa, with more than 100 million people. While it is one of the poorest countries in its region, it also has the fastest growing economy. Though the water crisis has improved in urban areas, the situation in rural areas remains challenging. The people living in rural Ethiopia are at greatest risk, but also have great potential for transformation. In those rural areas where Lifewater focuses, we have identified specific challenges. For example, based on average household size, each person only uses about 1.7 gallons of water per day, which is well below the national standard for rural Ethiopia: 3.9 gallons per person per day. To give a better idea, the average American uses approximately 80-100 gallons per day. We have found that women and children do the vast majority of water collection and can spend 2-3 hours per day collecting water. Furthermore, of the rural communities we serve, only 14-30% have access to improved latrines. 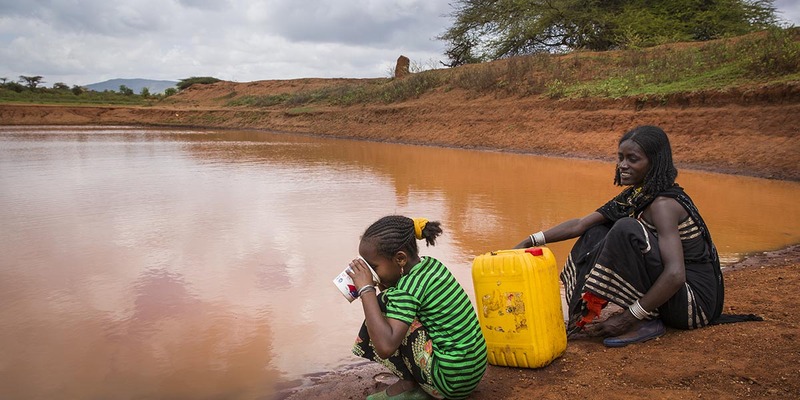 Mothers like Diba walk long distances to gather water from unsafe sources like this. Download our West Arsi and Bensa Baseline Reports for more information. 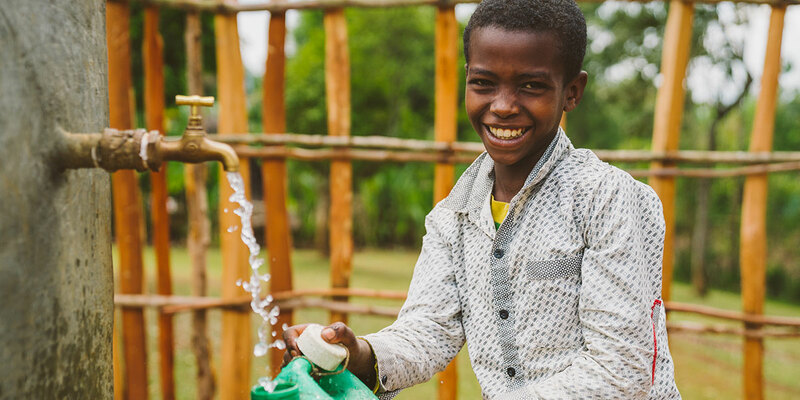 At Lifewater, we are dedicated to ending the water and sanitation crisis in Ethiopia. To date, we have helped 47,859 people West Arsi and Bensa, villages in rural Ethiopia, gain access to clean water and improved sanitation and hygiene. As part of our Vision of a Healthy Village program, we have certified 9,025 Healthy Homes. Lifewater’s Vision of a Healthy Village is a community-led program effecting small changes – constructing improved latrines and handwashing devices; implementing the usage of drying racks for dishes; keeping home compounds clean; and keeping water clean – house by house, village by village. In the next five years, we aim to help 170,000 people in rural Ethiopia gain access to clean water and improved sanitation and hygiene. This safe water source in the village means children spend less time collecting water. You can make a real difference for vulnerable people facing the Ethiopia water crisis. One way to make a difference is to sponsor a Village Water Project with Lifewater, to bring transformation to a community of people in Ethiopia. When you sponsor a village, you get to choose the village, view the communities and homes on a map, and see your impact. Sponsoring a Village Water Project is a great way to be connected to the people you love and serve.